Air Botswana resumes direct flights between Cape Town & Gaborone! Botswana's flag carrier, Air Botswana, is set to resume direct flights between Sir Seretse Khama International Airport (GBE) in Gaborone and Cape Town International Airport (CPT) in Cape Town on 01 March 2019. The airline will operate three weekly flights on Wednesdays, Fridays and Sundays onboard its new Embraer ERJ170 aircraft, which has a seating capacity of 70 passengers and dual class configuration. Until February 2018, Air Botswana operated scheduled flights between Gaborone and Cape Town through a lease agreement with CemAir. The South Arican carrier was temporarily grounded by the South African Civil Aviation Authority (SACAA) earlier the same month, so that Air Botswana had to suspend the service and did not renew the lease agreement. Qatar Airways to increase flights to South Africa! The state-owned flag carrier of Qatar, Qatar Airways, is set to increase flights to South Africa. The airline will increase the number of weekly flights between Hamad International Airport (DOH) in Doha and OR Tambo International Airport (JNB) in Johannesburg from 14 to 18 from July 2019 and to 19 from August 2019. A further two flights per week will be added by the end of October 2019. In addition, Qatar Airways will add three weekyl extra flights on the Doha <> Cape Town route, taking the total from seven to ten, from 27 October 2019. The 2019 Women's & Men's World Surfing Leagues Championship Tour returns to Jeffreys Bay in July! The 2019 Women's and Men's World Surfing League Championship Tour will once again return to Jeffreys Bay in South Africa in July 2019. The Corona JBay Open Men's and Women's surfing contests will take place at Supertubes from 09 July 2019 - 22 July 2019. Like in the previous years, the event forms part of Jeffreys Bay's famous JBay Winterfest (09 July 2019 - 22 July 2019). The Jbay Winterfest (09 July 2019 - 22 July 2019) is an annual sports and lifestyle festival in Jeffreys Bay. Besides the World Surfing Leagues' Championship Tour and various free music shows aka "Live in the Park", the event also hosts a Skins Fishing Tournament, a Funduro dirtbike event, as well as a Trail Run and more. The details of these events will follow. We'll keep you posted! update (25 March 2019): Sable Sleepover Hide in Kruger National Park to reopen on 26 March 2019! South African National Parks (SANParks) just announced on Facebook that the Sable Sleepover Hide, situated approximately 10km from of Phalaborwa Gate in Kruger National Park, will be temporarily closed until further notice. The closure is due to maintenance work that has to be conducted in that hide after the recent heavy rains. The Sable Sleepover Hide is a unique accommodation facility which overlooks the Sable Dam. A bird hide by day, it transforms into a primitive overnight dwelling by night, where a select few can experience the Kruger National Park nightlife first hand. South African Airways increases West African connectivity! South Africa's flag carrier, South African Airways (SAA), and Ghanaian airline Africa World Airlines Limited (AWA) have signed a Memorandum of Understanding (MOU). The MOU allows the two airlines to enhance their relationship through synergies that include code sharing, franchising and any other related projects. South African Airways and Africa World Airlines formed a relationship in 2015, which resulted in the lauch of scheduled services between Kotoka International Airport (ACC) in Accra and Washington Dulles International Airport (IAD) in Washington D.C. in the USA. The relationship between the two airlines has since grown from the original commercial co-operation into the new interline commercial agreement. Over the coming months the interline agreement will evolve into a code share agreement. SAA customers will then travel on one ticket from Johannesburg to Accra, or from Washington D.C. to Accra, and onwards to a number of destinations such as Kumasi in central Ghana, Tamale in the north, and Takoradi in the west. SAA customers will also be able to connect from Accra to Lagos and Abuja in Nigeria, Freetown in Sierra Leone, and Monrovia in Liberia. In turn, customers of Africa World Airlines travelling from Ghana, Lagos, Abuja, Freetown, and Monrovia, are able to travel on one ticket from any AWA point of origin and connect onto SAA international flights to either Washington D.C. or Johannesburg, or further on the SAA network. With effect from April 2019 South African Airways will increase the frequency from Accra to Washington D.C. currently four to five flights per week. The airline offers the only nonstop flight between Ghana and Washington D.C. and convenient connections to / from over 100 cities across the U.S. and Canada through its Star Alliance partner, United Airlines viaWashington Dulles International Airport (IAD) in Washington D.C..
Ethiopian Airlines to launch flights to Livingstone! Ethiopia's flag carrier, Ethiopian Airlines, is set to introduce flights to Livingstone in Zambia on 17 June 2019. The airline will operate three weekly flights between Bole International Airport (ADD) in Addis Ababa and Harry Mwanga Nkumbula International Airport (LVI) in Livingstone, Zambia, via Sir Seretse Khama International Airport (GBE) in Gaborone, Botswana, on board a Boeing 737 Max 8 aircraft. update (05 March 2019): The Marina Swing Bridge will again be out of operation when the new bridge is getting installed (29 March - 17 April 2019). The completion date for construction is expected to be 30 April 2019. The pedestrian Marina Swing Bridge, which connects the Clock Tower / Silo District with the rest of the V&A Waterfront in Cape Town, is getting an upgrade. The new bridge will be wider, allowing more people to safely pass through. However, it will mean that the bridge will be out of operation from 25 February 2019 to 01 March 2019. To travel across the two areas, a MyCiTi bus shuttle service will operate between the Bascule Bridge (near the Cape Grace Hotel) and Silo Square. (near the Zeitz MOCAA). The shuttle is free and will run approximately every six minutes between 5:30 and 23:30pm. update (18 April 2019): The codeshare relationship between Fastjet (Mozambique) and LAM Mozambique Airlines will be initiated on the Maputo <> Beira & Maputo <> Quelimane routes effective 18 April 2019, soon to be followed by the Maputo <> Tete route. Mozambique's national airline, LAM Mozambique Airlines (Linhas Aéreas de Moçambique - LAM), and Fastjet (Mozambique) have signed a codeshare agreement. Under the agreement the two airlines will sell seats on each other's flights between Maputo, Beira, Tete and Quelimane, using their respective airline codes. The codeshare relationship will be implemented first on the Maputo <> Beira route from 25 February 2019, thereafter, followed by the Maputo <> Tete and Maputo <> Quelimane routes during March 2019. The agreement is intended to strengthen the route networks of LAM and Fastjet (Mozambique), to facilitate commercial sales and to improve passenger convenience in flight schedules. It follows the relationship announced by the two carriers in March 2018. SA Express to increase flights between Johannesburg <> Mthatha! South African regional carrier, SA Express, is set to add a second frequency between OR Tambo International Airport (JNB) in Johannesburg and Mthatha Airport (UTT) in Mthatha in the Eastern Cape commencing on 25 February 2019. The morning flight will depart Johannesburg at 06:00 arriving in Mthatha at 07:30, with the return flight departing at 08:10, landing at in Johannesburg at 09:40. The afternoon flight will leave Johannesburg at 15:30 for a 17:00 arrival. The return flight will depart Mthatha at 17:40 and will arrive in Johannesburg at 19:10. SA Express resumed services between OR Tambo International Airport and (JNB) in Johannesburg and Mthatha Airport (UTT) in Mthatha on 21 February 2019 after the Mthatha Airport’s brief suspension by the South African Civil Aviation Authority (SACAA) last month. 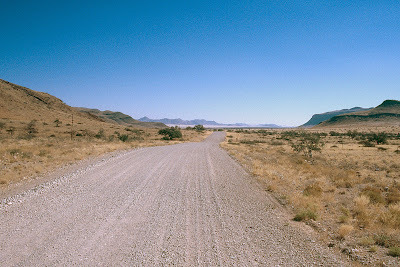 update (01 April 2019): The "Nossob Still Cam" in Kgalagadi Transfrontier Park is still out of order! The "Nossob Still Cam", a webcam located in the Nossob Rest Camp in Kgalagadi Transfrontier Park in South Africa's Northern Cape, is currently out of order. According to South African National Parks (SANParks) Regional Communications Manager (Arid Parks), Genevieve Maasdorp, a new webcam will be installed during March 2019. We'll keep posted. The Nossob Rest Camp is situated within the dry riverbed of the Nossob. 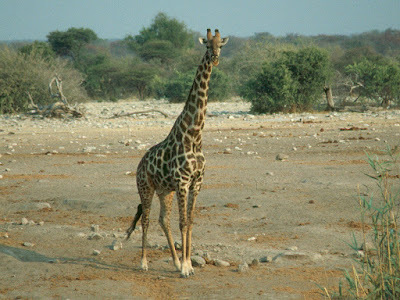 The camp is surrounded by tree savannah and is famous for spectacular predator sightings. 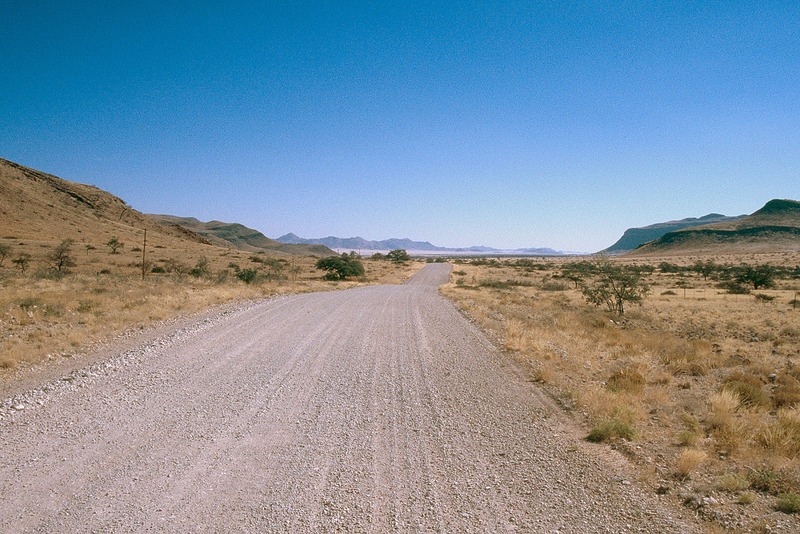 Nossob is 3,5 hrs drive from Twee Rivieren Rest Camp, the largest rest camp in Kgalagadi Transfrontier Park. update (21 February 2019): NWR's 75% discount offering is only applicable to Namibians & SADC nationals (incl. permanent residents, volunteers, 2 years work permits & diplomats); proof will be required at check-in. Namibia Wildlife Resorts (NWR), the state-owned enterprise mandated to run the tourism facilities within the protected areas of Namibia, has announced that it will once again be offering a 75% discount at its establishments during March 2019 (01 - 31 March 2019). The discount will be running at all NWR facilities spread across Namibia excluding Hardap (Dormitory), Khorixas (Single rooms & Bush chalet A), Terrace Bay, Shark Island and the Miles. The rates are bed only - no breakfast is included. Air Botswana to improve its domestic connectivity and to expand its regional network! Botswana's flag carrier, Air Botswana, is set to improve its domestic connectivity and to expand its regional network. Domestically, the airline will introduce a connection between Francistown and Kasane which will shortly be followed by a new service between Francistown and Maun. Regionally, Air Botswana will recommence direct operations between Gaborone and Cape Town. Later in 2019, the airline will also re-introduce scheduled flights between Kasane and Johannesburg. Air Botswana will also recommence flights from Gaborone to Harare and Lusaka. This will be a triangular operation starting off from Gaborone to Harare and onwards to Lusaka. All new routes will all be implemented in the first quarter of the 2019/20 financial year. Addo Elephant National Park: Closures in March 2019 due to the Addo Elephant Trail Run! South African National Parks (SANParks) has announced that the Zuurberg walking trails, the Mvubu campsite, the Kabouga cottage, the Narina bush camp as well as the 4x4 trail in Addo Elephant National Park will be closed between 15 - 17 March 2019 to accommodate the Addo Elephant Trail Run. Guests and overnight visitors to Addo Elephant National Park are also advised that traffic into and out of the main game viewing area will be rerouted for a period on 15 March 2019 due to the start of the trail running event. The Addo Elephant Trail Run was the first triple ultra distance trail running event in South Africa, offering a choice of 100 Mile, 76km or 44km distance ultra-trail runs. The courses take runners through some of the most remote wilderness in the Addo Elephant National Park, through areas they would not be able to access any other way. Originally founded in 2005, the Addo Elephant Trail Run is South Africa's oldest 100 Mile ultra trail race. update (20 February 2019): According to a press release by Air Botswana, the airline airline will not operate two seperate flight from Gaborone to Harare and from Gaborone to Lusaka. The airline will instead offer a triangular operation starting off from Gaborone to Harare and onwards to Lusaka. Botswana's flag carrier, Air Botswana, is set to resume scheduled direct flights between Sir Seretse Khama International Airport (GBE) in Gaborone and Robert Gabriel Mugabe International Airport (HRE) in Harare as well as between Gaborone and Kenneth Kaunda International Airport (LUN) in Lusaka. Flights will commence on 02 April 2019 and will be operated on Tuesdays and Saturdays. Air Botswana suspended flights operations between Gaborone and Lusaka as well as between Gaborone and Harare in 2016 due to a route rationalisation exercise in order to reduce operational costs on non-profitable routes. World Restaurant Awards: A tiny South African beach restaurant has just been crowned world's "Restaurant of the Year"! The World Restaurant Awards held their inaugural awards ceremony on 18 February 2019 in Paris. Winner of the "Restaurant of the Year" category is Wolfgat, a restaurant in Paternoster in South Africa's Western Cape. Congratulations! According to the judging panel, the menu at Wolfgat is "perfectly balanced between creativity and accessibility" and a "hyper-local". approach to sourcing ingredients. The remote 20-cover restaurant also scooped the award for "Off-Map Destination" – a category that embodies the awards' ambition to reflect the full breadth and depth of the international restaurant scene. Johannesburg: M2 to be partially closed until October 2019! The Johannesburg Roads Agency (JRA) is set to close the M2 motorway between the Crown Interchange and Maritzburg Street in Johannesburg due to structural defects of the Karsene and Selby sections of the M2 bridge. The closure will beginn on 28 February 2019 and is expected to last until October 2019. The closure of the motorway will affect several on-ramps, which will have to be closed, and affected motorists are advised to seek alternative routes. SA Express to resume flights between Johannesburg <> Mthatha! South African regional carrier, SA Express, will resume its operations between OR Tambo International Airport (JNB) in Johannesburg and Mthatha Airport (UTT) in Mthatha in the Eastern Cape starting 21 February 2019. The South African Civil Aviation Authority (SACAA) is satisfied that the airport has addressed its shortcomings and the airport is open again for schedule services. SA Express will operate a daily service between Johannesburg and Mthatha between Sunday and Friday with the intention of increasing frequency in the coming weeks. Mthatha Airport (UTT) in Mthatha was closed by the SACAA since 25 January 2019 due to the sub-standard rescue and firefighting response times, as well as a lack of aerodrome emergency management systems. Airlink to resume flights between Johannesburg <> Mthatha! South African regional carrier Airlink will resume flights between OR Tambo International Airport (JNB) in Johannesburg and Mthatha Airport (UTT) in Mthatha in the Eastern Cape on 19 February 2019. The South African Civil Aviation Authority (SACAA) is satisfied that the airport has addressed its shortcomings and the airport is open again for schedule services. Airlink will provide early morning and late afternoon return flights using one of its Embraer 135, 37 seats regional jets Monday to Friday. An early morning flight will operate on Saturdays and an afternoon flight on Sundays. Additional flights will be added to the schedule as the route returns to normality. Mthatha Airport (UTT) was closed by the SACAA since 25 January 2019 due to the sub-standard rescue and firefighting response times, as well as a lack of aerodrome emergency management systems. South Africa released rhino & elephant poaching statistics for 2018! 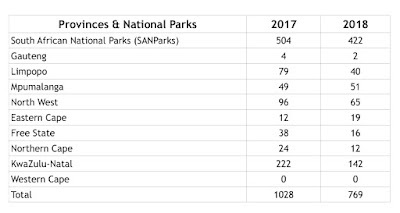 South Africa's Minister of Environmental Affairs, Ms Nomvula Mokonyane, has released the rhino poaching numbers for 2018. According to the Minister, a total of 769 rhinos got illegally killed by poachers in South Africa in 2018. This is a decrease of 259 rhino compared to 2017 when 1 028 rhino were killed for their horns. It is also the first time in 5 years that the annual figure is under 1000. Out of the 769 killed rhinos, a total of 421 rhino were poached in the Kruger National Park. One rhino was poached in the Marakele National Park. From 01 January to 31 December 2018, a total of 365 alleged rhino poachers and 36 alleged rhino horn traffickers were arrested in South Africa. A total of 229 alleged poachers were arrested inside and adjacent to the Kruger National Park, 40 more than the 189 arrested in 2017. There are currently 318 rhino poaching-related cases on the court roll involving 645 accused and 897 charges. 275 of these cases are trial-ready. A total of 71 elephants were poached in the Kruger National Park between 1 January and 31 December 2018. One elephant was killed in KwaZulu-Natal which brings the total for South Africa to 72 elephant for 2018. Mount Kenya National Parks: Major tourist roads upgraded! 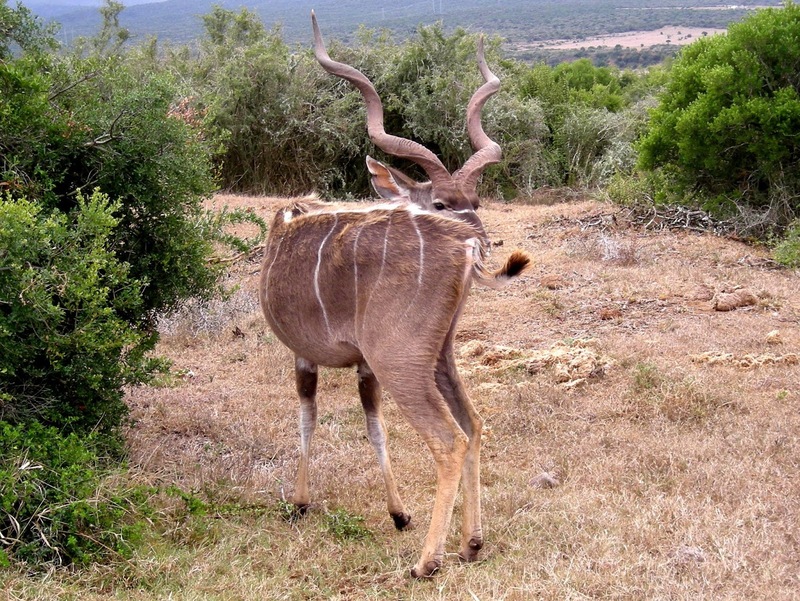 Major tourist routes in Kenya's Mount Kenya National Park have been upgraded. The project has seen major improvement of access roads along Kalalu Farm to Sirimon Gate and Old Moses Camp, and Naromoru Gate to Met Station Road; a stretch of 27km. The Mt. Kenya roads project forms part of a 77km tourism roads project funded by the European Union (EU) and the Government of Kenya. The two other components of the roads project cover Tsavo East National Park and the Aberdare National Park. Works in Tsavo East National Park were already completed in 2015 while those in the Aberdare National Park will be completed in 2019. Wanderlust travel magazine (UK): Namibia named "Top Country 2019"! The readers of British travel magazin Wanderlust voted Namibia the "Top Country " in the 2019 edition of the Wanderlust Readers' Travel Awards. South Africa secured the 7th spot in the ranking. The awards were presented at a special event hosted at Destinations: The Holiday and Travel Show at Olympia London on 31 January 2019. 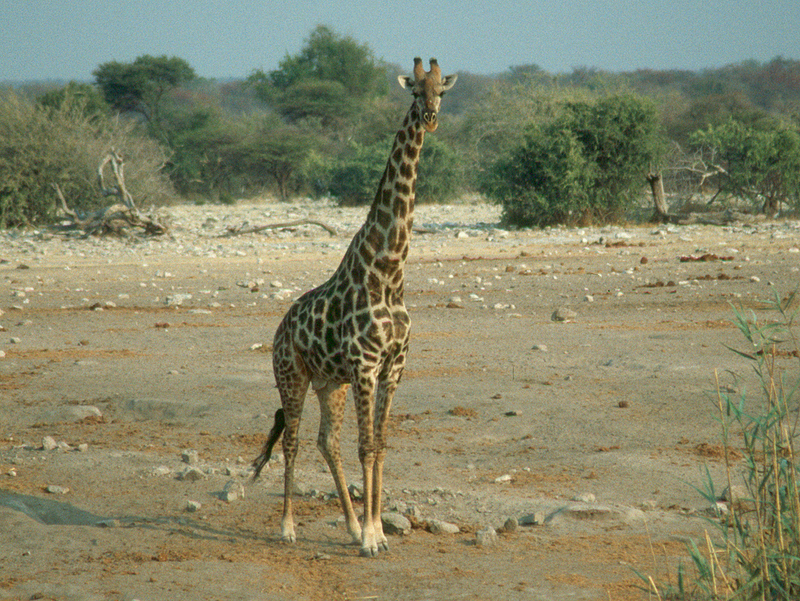 A total of 33,450 travellers from the United Kingdom visited Namibia in 2018, which makes the UK the country's second largest European market. Namibia released rhino & elephant poaching statistics for 2018! 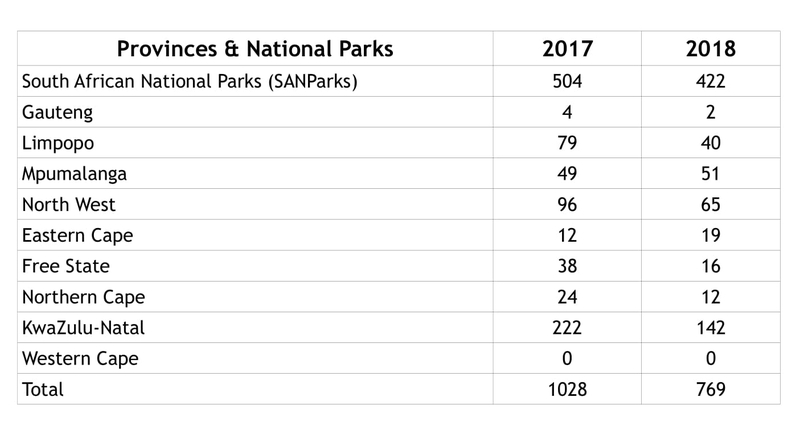 Namibia's Minister of Environment and Tourism, Pohamba Shifeta, has released the rhino and elephant poaching numbers for 2018. According to the Minister, a total of (at least) 57 rhinos and 26 elephants got illegally killed by poachers in Namibia in 2018. 120 suspected poachers were arrested in 2018. 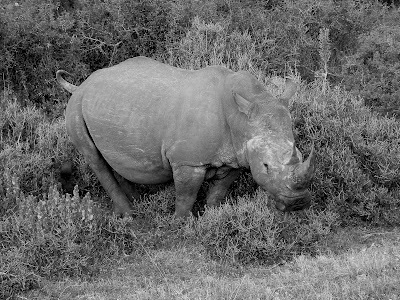 (At least) One rhino was reported poached so far this year. Earlier this month Namibia's Deputy Minister of Environment and Tourism, Bernadette Jagger, revealed that Namibia has lost an average of 50 rhinos annually to poaching since 2015. According to the Deputy Minister, despite the onslaught of poaching, the white and black rhino population of the country has preserved and continues to grow. The black rhino population in Namibia currently exceeds 2 000 species, and the white population currently stands at 1 000 animals. Air Namibia to cancel regional flights in February 2019 due to aircraft maintenance! Namibia's flag carrier, Air Namibia, will cancel various regional flights in Southern African between 19 February 2019 to 22 February due maintenance of its Airbus A319 aircrafts. Affected flights will be SW727 and SW728 between Windhoek <> Johannesburg on 19 February 2019 and 21 February 2019, SW375 and SW376 between Windhoek <> Lusaka on 20 February 2019, SW405 and SW406 between Windhoek <> Victoria Falls on 20 February 2019 as well as SW303 and SW304 between Windhoek <> Luanda on 22 February 2019. In case your flight is among the services that will be canceled, we recommend to contact Air Namibia for further information.